The global smartphone industry is “effectively in a recession”, according to the latest Strategy Analytics research, a view largely shared by the International Data Corporation (IDC), as the two highly respected market intelligence firms just simultaneously released their respective Q3 2018 reports. The actual numbers differ slightly, but the general idea is the same. Worldwide smartphone shipments have yet again declined, by anywhere between 6 and 8 percent compared to last year’s July - September quarter, to either 355 or 360 million units. This is the fourth consecutive slumping quarter for a market that flourished like no other during the previous decade or so, and market researchers are starting to doubt the recovery will be as swift and significant as formerly anticipated. Huawei and Xiaomi’s numbers are in fact maintaining their remarkable trend, surging by around 32 and 20 percent respectively from Q3 2017 shipment volumes. As recently forecasted, this is allowing Huawei to edge out Apple for the second straight quarter, with a gap of around 5 million units separating the industry’s number two and three players. In first place, Samsung retains a healthy lead over its two main rivals, but the company’s dipping sales are getting more and more problematic. We’re now talking about a massive year-on-year fall of over 13 percent in unit shipments, as well as a drop from a 21 or 22 percent market share to a little over 20 percent. While the Galaxy Note 9 launch was reportedly successful, Samsung still needs its mid-end portfolio to perform better on a global scale. Huawei, on the other hand, has had both budget-friendly and high-end hits, including Honor-branded mid-rangers and new P-series flagships. And yes, things are also looking good for the Mate 20 family. Last but not least, it’s worth pointing out that Oppo is still the world’s fifth-largest smartphone vendor, losing a couple of percentage points in shipments while slightly boosting its market share, as premium designs like the Find X and R17 are also improving the company’s profitability and Western high-end relevance. Looks like Huawei is still far behind Samsung at this time. There is another manufacturer catching up Oppo, which is Vivo. I'm not a Huawei fan but I really do think they will surpass Samsung in few year's time. Samsung has become complacent (yet again) and should be worried how Huawei can come up with more attractive phones (albeit, mostly clones) and sell them better. In Malaysia, there are more people going to Huawei stores than Samsung or Apple. Apple will always remain a good third because not everyone can afford their phones. They will never be on top but they will always be there rake in cash more than the others. Ya, most Malaysian these day are so hips with Mate 20, I walk past few Samsung store all a cross Klang Valley area, doesn't seem like there even mosquitoes visiting Samsung store, yet Huawei and Apple store are always crowded with customer. Most people at Apple stores are just looking, not buying. Or getting repairs not buying. Apple is a falling star... Xiaomi will overtake it in two years. I dont think that Apple cares how many phones it sell but how much money it makes. They profit margin is higher since iPhone X and that means they can afford to sell less. And I think that was the goal. Xiaomi becoming no2 in just 2 years I think will be impossible. More like in 5ish years. As it looks like in 2 years its going to be battle for 2nd and third spot between apple and samsung. Well Sadly not only in Malaysia is this the case, here in South Africa Network providers are stocking mostly Huawei devices in abundance whereas before it used to be 65% Samsung, 25% Apple, 9% Huawei and 1% others. it is now 58% Huawei, 28% Samsung, 13% Apple and 1% others. not only that in used device sales (OLX /Gumtree) Samsung used to lead here from entry to mid range and flagship devices registered on the used device sales sites by 87% and Apple 12% and others at 1%. now its Huawei at 70%, Samsung at 12%, Apple at 8% and others at 10%. which should tell you of the device and brand popularity plus sales volumes, mind you these figures can balance between people that sold their devices because they were not happy with their quality, because of upgrading and following tech trends, screen damage or minor repairs required or because they simply don't like the brand because of certain features or shortfalls including bun not limited to battery life and camera quality. and it is worth noting here that most of the people selling their phones sold mainly flagships on the side of Samsung and entry level devices on Huawei side and the same cannot be said with apple whose devices are mostly expensive but the plus version of their devices is the most prominent here. most purchased used devices here are flagships and mid rangers on the Huawei side, older flagships on the Samsung side and the iphone below the plus on the Apple range. and this tells me that people want to keep their Huawei flagships and mid range devices more then their Samsung counter parts and also will sell their Samsung mid range devices in a blink because of either dissatisfaction or lost of interest on the device and again due to certain factors meaning Huawei Flagships and mid range devices are an on demand value for money here. finally yes Huawei will overtake the complacent Samsung.. they already on their way after dominating the mid range sector.. the mission is now to defeat their flagships and they did it this year, they only need to do six more years in a row and Huawei will be on top. Every time these charts come out I keep remembering how good of a job BBK Electronics have done to stay (relatively) under the radar. What the chart doesn't show is that "Other" includes Vivo and OnePlus which are owned by BBK along with Oppo. Combined BBK are actually number 2 and have been for several years. The trouble with that is BBK is a holdings company. Oppo, Vivo and OnePlus are not one company but 3 seperate entities competing against each other. The same is true for Chevy and GMC, Ford and Lincoln, Toyota and Lexus, Nissan and Infiniti, VW and Audi/Porsche etc. Shall I continue? Vivo, Oppo and OnePlus share obvious design language and the money goes into BBK's kitty. I doubt “beats” is as strong of a conviction as “Average Selling Price”. Anyone can move $150 devices. Try doing that with nearly $1000 as primary selling device. End of the next year Huawei have good chance to be number one, the downhill for Samsung going to get deeper and deeper. Things are looking lot like what happened for Nokia. Big companies just fall lot slower, but losing 10 million sales just shows the results are showing very clearly now in unit sales too. Before Samsung could compensate bad flagship sales with mid and low end sales getting good unit count, but now all their phones struggle to sell. I think it's a bit too early to make such claims. Though, it would be smart for them to work on making their mid-rangers and low-end phones more competitive as far as specs is concerned. The problem for Samsung is pricing. Huawei phones with similar specs and performance are easily $200 cheaper compared to Samsung phones. With very little to separate them from each other, people will buy the cheaper phones. Huawei also has a habit of offering faster updates nowadays, Samsung tends to fall behind a bit. The problem is they rely heavily on the cheap J-series with SD4xx, but they can't fool their customers forever with that bad value series. They should learn from Huawei, use newest exynos for A-series, and use SD6xx or SD7xx (or last year exynos) for J-series. Customers have no idea what is inside the phone. All they see is price and a spec sheet. They have no idea when a chipset was released or how powerful it. They see a price tag, and a spec sheet and decide this one looks like it has better spec and the price is cheaper. SOLD!!! Some Samsung phones may not have better specs, but will out the box have more features for the higher cost. But if your wallet can't swing it, it doesn't matter what phone is actually better. A phone isnt just better because it has better specs, its how the specs are use. And Samsung phones even with lower specs make some phones look like overpriced junk. Example, the A8 is certainly far and away better than any iPhone 6/7/8 and it cost about the same or less depending on iPhone model. It could even give the original X a good run. 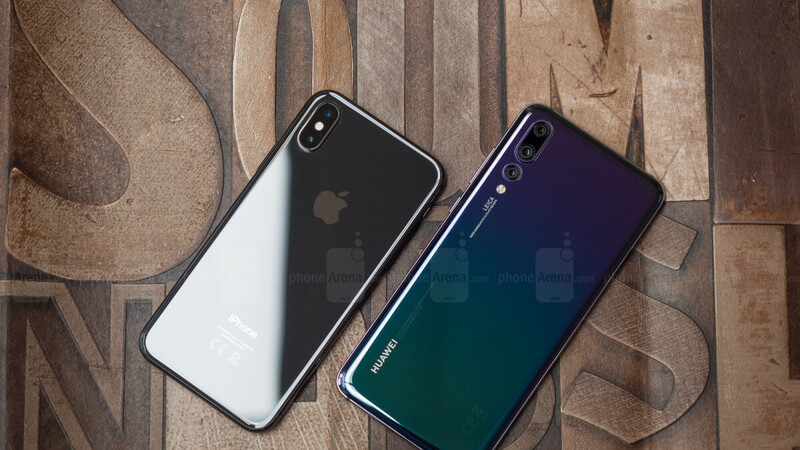 In fact the A8+ 2018 has better specs than the iPhone XR on many fronts, including more ram, higher res, better cameras, supports more bands, higher IP rating and so much more and its nearly 1/2 the price of an XR at $380. I am even seeing ads from Samsung claiming that both J4+/J6+ and Tab A 10.5  as a "gaming devices", I am not sure what's in their mind to come with such bold statement, the experience for gaming on both of these devices are gonna leave a bad taste for any customer who are trick by them. Yup, I agree with you and the others above. While I see Huawei are still few years away from taking over Samsung, but as of right now, their mid-rangers and budget phones are tons better than Samsung's offerings and are significantly cheaper than them too. Once they get the brand recognition that Samsung have, especially in the new markets they're trying to get into, then it's game over for Samsung, they'll hav5to accept being number two after that. But as I said, Samsung still have enough of a lead to maintain sitting on the top for another 3 years. "Samsung still have enough of a lead to maintain sitting on the top for another 3 years." If they keep losing another 10 million in sales in one year and Huawei manage to sell ten million more they are almost there. i have a feeling that impact next year will going to be very big for Samsung. Chinese companies getting bigger and bigger and all them will steal small pieces from Samsung. Everytime when you see chinese companies selling more, they very likely stole Samsung users or their potential users. The problem isnt soeca, uts price. Its hard to compete with China whonuses cheap components made of cheap materials and sold at a cheap price vs Samsung who used quality materials, and have to turn raw material into a product in their own factories. Samsung has far and away more cost vs any OEM and that is the problem. They have a hard time dropping prices when making your own stuff is expensive. If Samsung farm out everything like everyone else does, with selling 200M phones, no one would be able to match Samsung ASP due to it's high volume of sales. Even though Samsung probably retains 60% of the take from a phone sale, they spend a lot of money per year. More than any other single OEM. No, in a few years it will be Huawei #1 and Samsung #2 , Xiaomi #3. Then Apple may be #4. Good job Huawei, your moving up. Make a phone a lot like the note and i would give you a try.